A "parklet" designed by Vermont Tech students is right out front. A few seats away from you, a dead ringer for comedian Bruce Vilanch with a facial tattoo sputters in what might be a nasty smokers' cough. The hot drinks are sized as "conservative," "moderate," "liberal" and "radical." If you guessed I'm talking about Vermont's capital city, you're right. Last year, longtime Montpeculiar fave (and perennial Daysies winner) Capitol Grounds Café did something to further solidify its status. 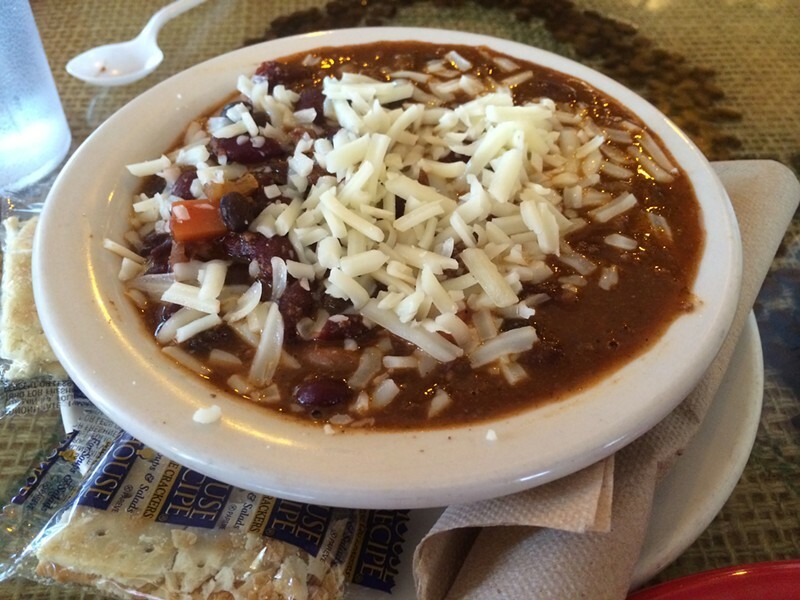 The café began serving a fairly substantial menu of locavore fare. That's definitely a good thing, but dining at Capitol Grounds still means, well, eating lunch at a coffee shop. Counter service was a bit scattered during our visit, and we got two items that were not served as requested. But when we asked the baristas to do what comes more naturally, they excelled. The hot chocolate aficionado in my party was more than pleased with his rich "liberal" cup. 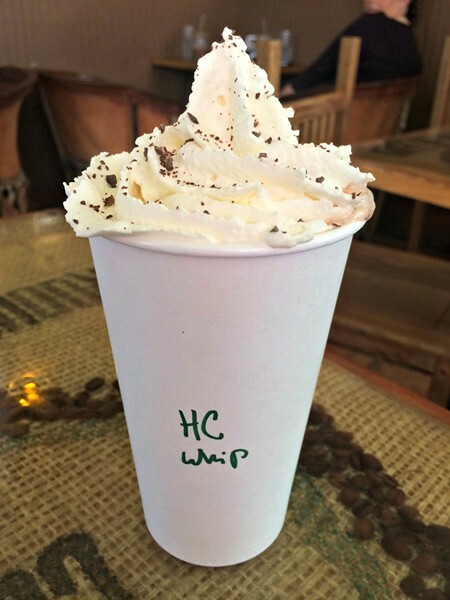 I wouldn't have minded a more substantial chocolate flavor, but I couldn't argue with the drink's full body or the dark chocolate shavings sprinkled atop a mountain of whipped cream. I wasn't as wowed by the homemade lemonade. Sure, it was optimally cool, but its refreshment quotient far exceeded its thin flavor. Ever since Wendy's changed its recipe in the mid-1980s, I've been the bitter shell of a once great chili lover. But strangely, the version at Capitol Grounds ($5.40 for a bowl) tasted more or less as I remember my early childhood favorite. It was better, though, thanks to a beefy chew added by meat from Greenfield Highland Beef's Plainfield farm. A base of thick gravy was red with chiles that lent a light slap of heat. Beans and meat made it a hearty meal, and a few tender peppers made me feel like a balanced grownup. Next time I'll eschew the shower of cheese, though. Strangely, it never really melted. Cheese was a more harmonious addition to the prosciutto di Parma sandwich ($8.50). 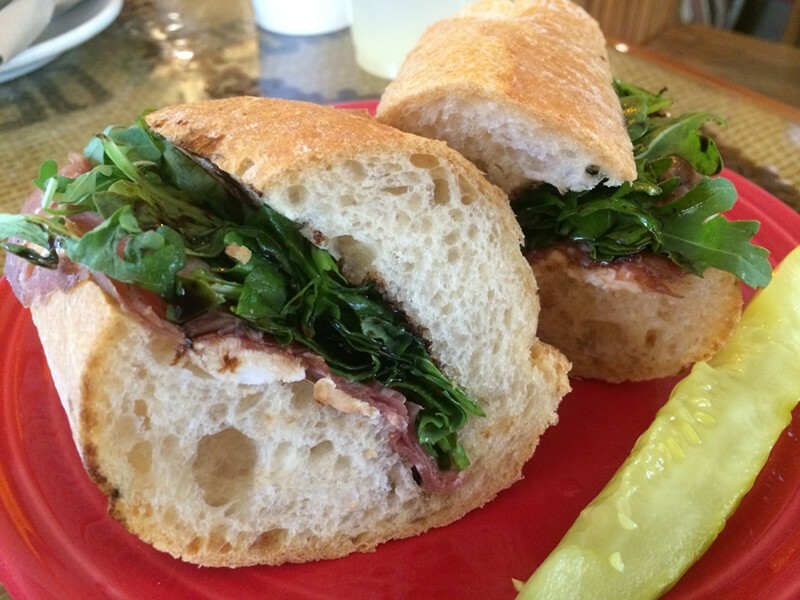 Served on a crusty Red Hen Baking Company baguette, the sandwich would have been at home in an Italian piazza. A glut of Maplebrook Fine Cheese mozzarella oozed out the back and sides of the bread, but a salty layer of prosciutto, along with crisp arugula and a balsamic glaze, stayed put and dealt the sandwich a blow of big flavor. Sadly, it was missing the pesto aioli mentioned on the menu. That addition might have vaulted the sandwich from "very good" to "memorable." 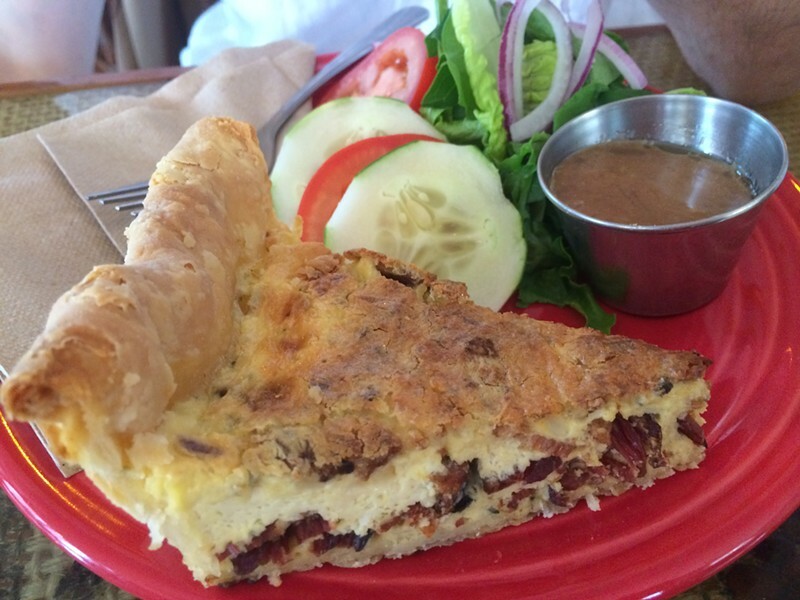 There were two quiche choices that day ($4.95 per slice). We ordered the bacon and blue cheese but were given the tomato, spinach and feta one. Were the servers worried for our health? When we explained the error, the counter staffer was happy to fix it. But after a surprisingly long wait, our new slice of quiche arrived at the table not quite warmed all the way through. Still, it was a good quiche with a flaky crust. The bacon and cheese, though settled at the bottom, made a savory combination. For an additional $2, we added a fresh side salad that was nicely amplified by a sweet-and-tangy balsamic vinaigrette. For dessert, I headed across the street to Chill for a scoop of rose gelato, which I ate while lounging in the parklet. I may not have had a gourmet lunch, but I can say that I had a Montpelier kind of day.